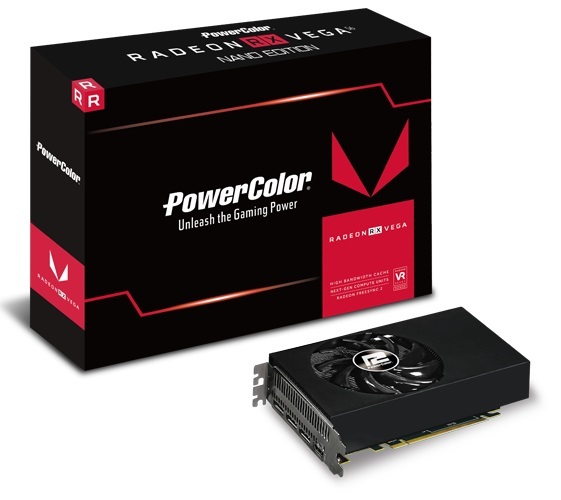 Powercolor is offering PC gamers the full power of AMD's RX Vega 56 in a compact form factor. Read more about AMD/Powercolor's RX Vega 56 Nano GPU. I'm impressed it's at the same clock speeds as the reference.